We offer a wide range of materials suited for various plastics processors. We're not just a recycler. ​We produce virgin and recycled content compounds designed to meet demanding performance requirements. Engineered for high performance, and designed for sustainability! This is the Denton Difference. PCR (Post Consumer Recycled) content products are a specialty of Denton Plastics and are quickly becoming the industry standard as brand manufacturers are reaching for sustainability goals to produce products that are environmentally conscious while providing the high performance demanded by consumers. Our PCR content resins are developed for various resin types and applications including polyethylene (HDPE, LDPE, LLDPE), Polypropylene (PP), ABS, Polystyrene (PS), TPO, and TPE. Denton Plastics research and development services provide full technical support to develop new materials tailor made to meet customer requirements. Our support staff of processing technicians have decades of experience in the plastics processing industry, and are available to assist our customers in a moments notice. Our onsite quality control lab and injection molding department provide capabilities to test materials for compliance and assist in the development process. Guidelines for processing parameters and materials analysis are available upon request. Denton Plastics product technical data sheets are available upon request, along with full lot traceability and certificate of analysis. Many products produced by Denton Plastics can be modified for any application to include process aids, color matched, anti-static, UV stabilized, filled & reinforced, custom and proprietary additives. 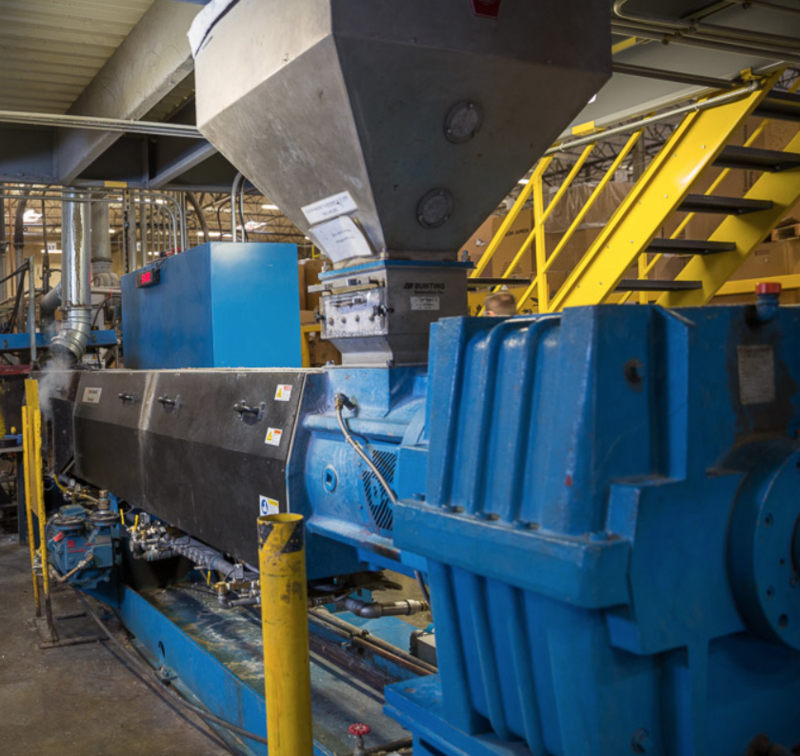 Each lot of product is post-blended to provide uniform processing performance from beginning to end, to ensure consistency that processors can count on. Denton Plastics products are packaged in new and used gaylord boxes, bulk bags, and shipped in overseas containers, bulk truck, railcar and dry van.